A port city on the south coast of Wales, Cardiff is a bustling and vibrant place to call home. 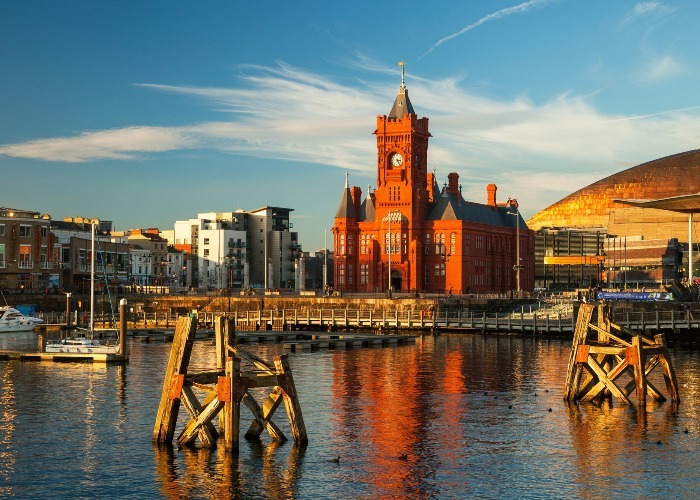 This waterfront city is packed with plenty to keep you occupied, from the wealth of restaurants, bars and shops at Mermaid Quay, to a packed schedule of arts events at the Wales Millenium Centre. If you're hunting for a spot that balances city life with green spaces, then look no further. It might have begun life as a Roman fort, but Cardiff has since grown into a leafy city, with idyllic riverside walks and beautiful parks. Plus you'll never be short of dramatic backdrops, with mountains to the north of the city and the coast to the south. 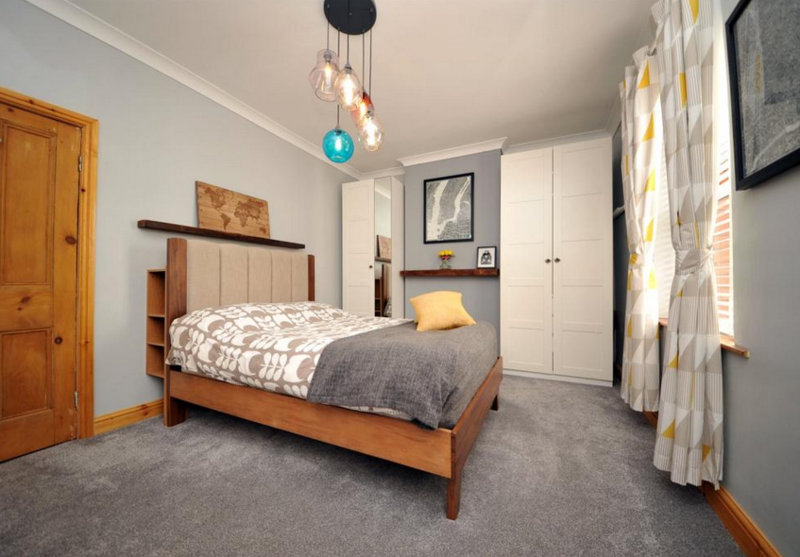 The property market in the area has been transformed over the last decade, thanks to a heap of stunning new builds that are attracting younger families to the Welsh capital. For those who prefer something a little more old school – fear not, there are still plenty of handsome period homes to be had too. In this compact city everything is within reach, so the best way to get around is by foot or bike. For longer distances, Cardiff Central railway station runs trains to all the major cities including London, Edinburgh, Glasgow, Manchester and Birmingham, and there’s an airport nearby too. Steeped in history, with its own eclectic culture and a tight-knit, friendly community, Cardiff has a lot to offer. And with properties selling for an average of £237,555, it’s an affordable place to get a foot on the ladder. 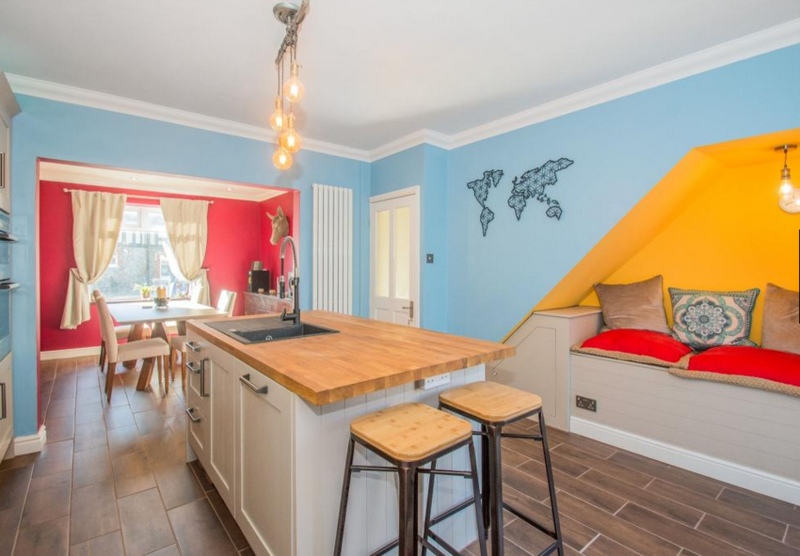 This generous end-of-terrace property certainly gives you plenty of bang for your buck. Step inside and you're welcomed by a bright and colourful interior. 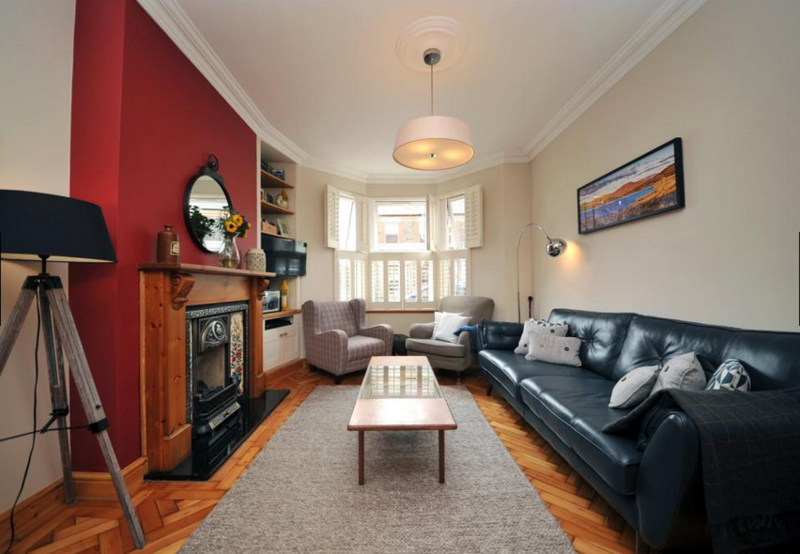 The home has been lovingly updated, offering four spacious bedrooms as well as a utility and workshop. 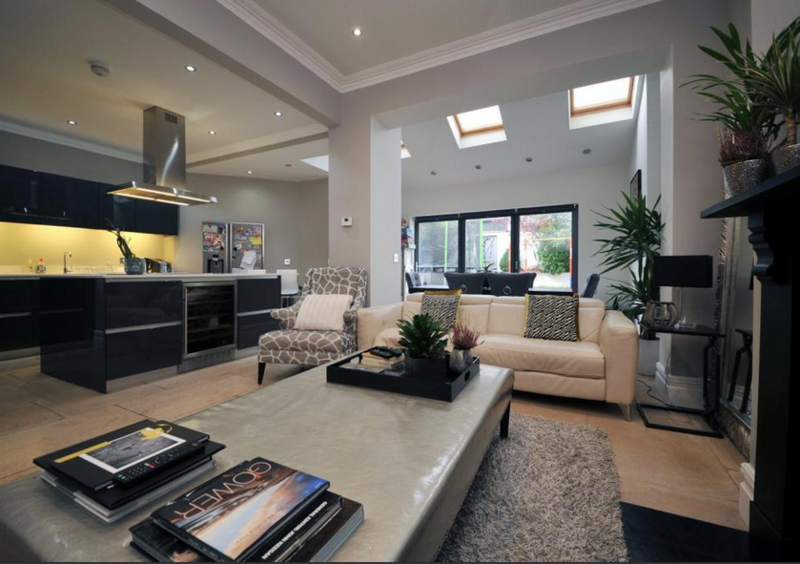 We love the tiled flooring in the sunroom and the open-plan kitchen that forms the sociable hub of the home. Outside, the garden comprises two areas – a courtyard with a stone patio for alfresco dining, and a decked level with stone chipping paths and a well-kept lawn. The property is in close proximity to a wealth of shops and amenities, plus there are plenty of local schools nearby. Currently on the market with a guide price of £250,000 with Peter Alan. 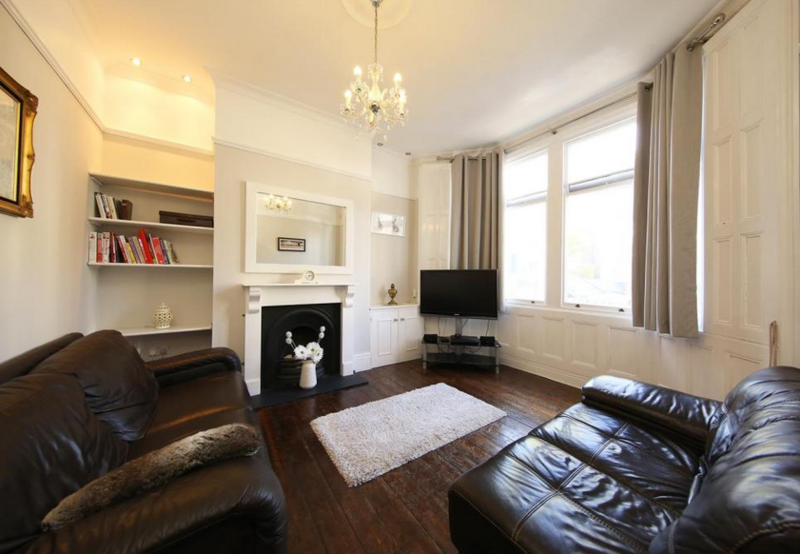 An attractive bay-fronted, end of terrace house, this home is an ideal size for small families. The three good-sized bedrooms have all been tastefully decorated in a neutral colour palette and are full of natural light. A modern family bathroom boasts a very inviting tub upstairs, while a WC is also available on the ground floor. Feast your eyes on the impressive parquet floor in the living and dining room, where you’ll also spy wooden window shutters and a sweet tiled fireplace. 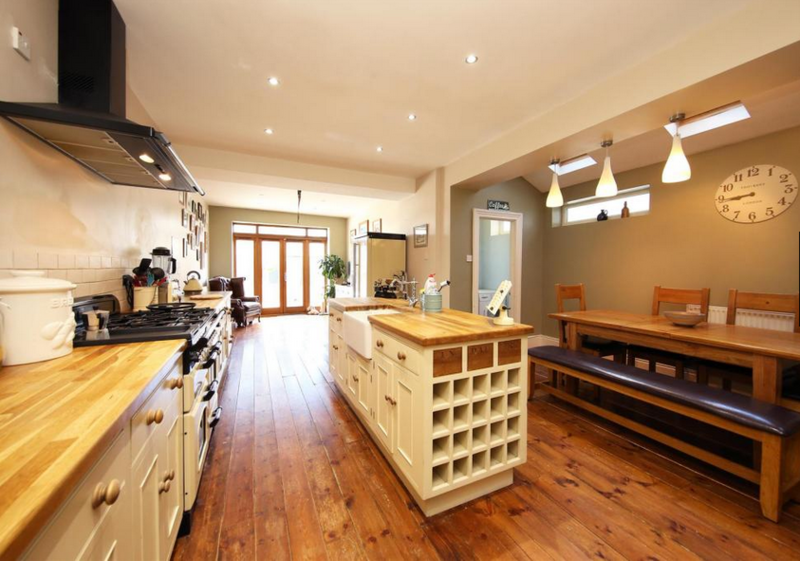 In the kitchen, another table is on offer, perhaps for less formal dining and there’s also a super useful utility room to hand. From the back door, you can access the low maintenance rear garden, which really lends itself to small scale entertaining. With a built-in bbq and low-level seating, we think you’d feel very at home in this party patio. On the market for Moginie James for £315,000. Your eyes are pulled in every direction as soon as you walk through the door of this inviting four-bedroom home. 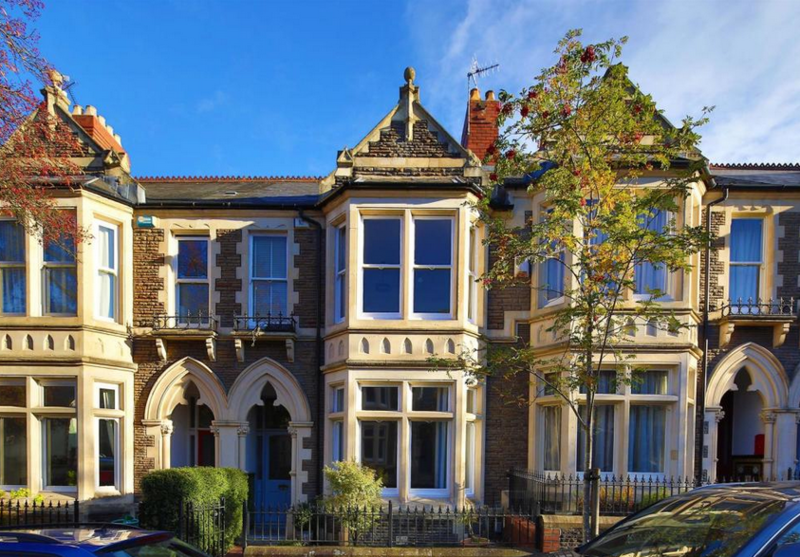 Original features can be seen throughout, from the period tiled pathway leading up to the front door, to the bay window and feature fireplace in the lounge and even the gorgeous bare wooden floors. 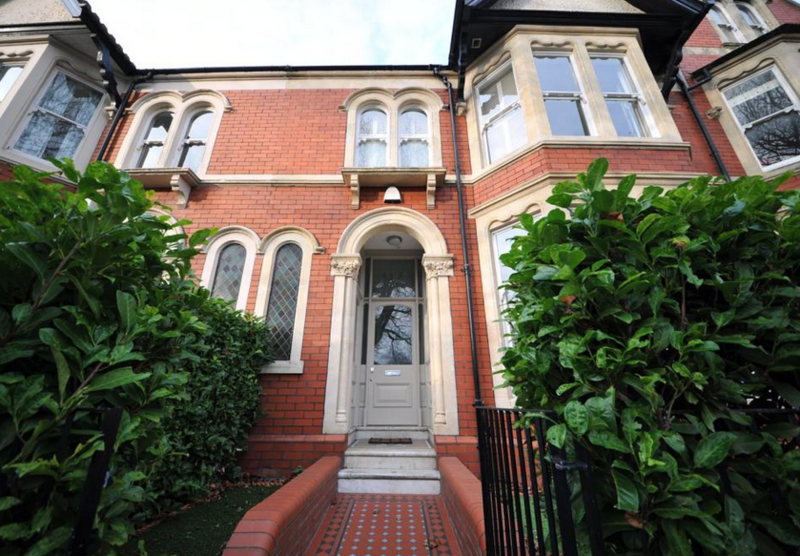 Located off Ninian Road and with gorgeous views of Roath Park, this stunning period townhouse has spacious accommodation with a grand entrance hall, 30-foot open-plan kitchen, lounge and utility. Upstairs, there are three double bedrooms and a large bathroom, plus a very useful fourth bedroom and bathroom in the loft. A generous garden awaits you outside, with a raised decked area just off the kitchen that provides the perfect spot for alfresco dining. On the market for £449,950 with Jeffrey Ross. 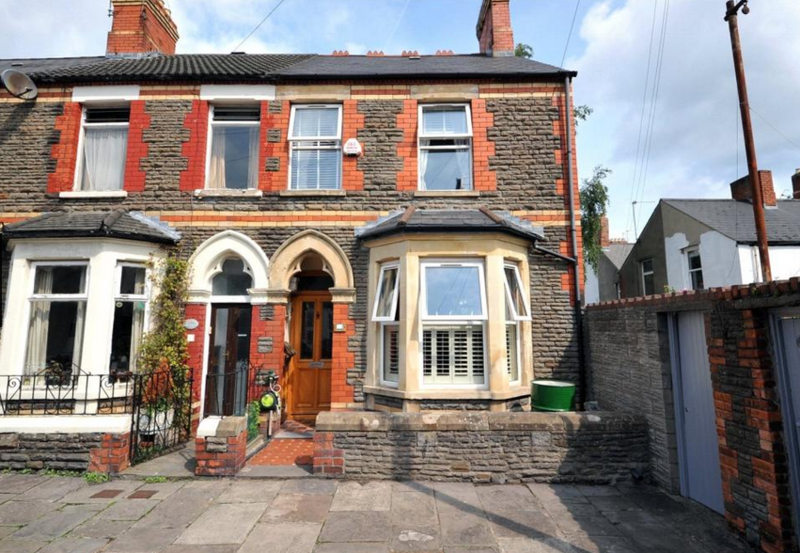 Nestled within a conservation area in Cardiff's Penylan region, this is a great chance to own a period terraced house in a beautiful area of the city. 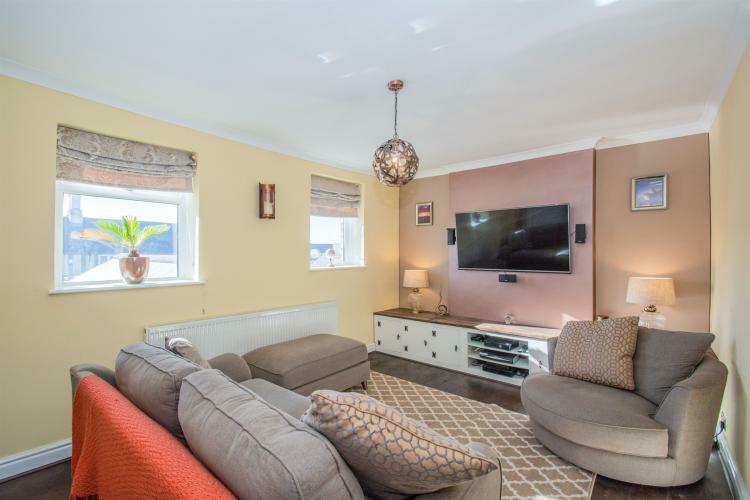 The home has been extended and renovated to a high specification and now offers very stylish accommodation, including a 24-foot open-plan living room with bifolding doors leading out into the garden. From the grand entrance vestibule to the bay-fronted living room, there's no shortage of architectural gems to marvel at. We especially love the glamorous marble bathroom on the first floor! You can be sure of a warm and comfortable living space too, with underfloor heating running throughout the ground floor. There are both front and rear gardens, with the latter offering patio areas, a lawn and a gate leading out to the back lane. 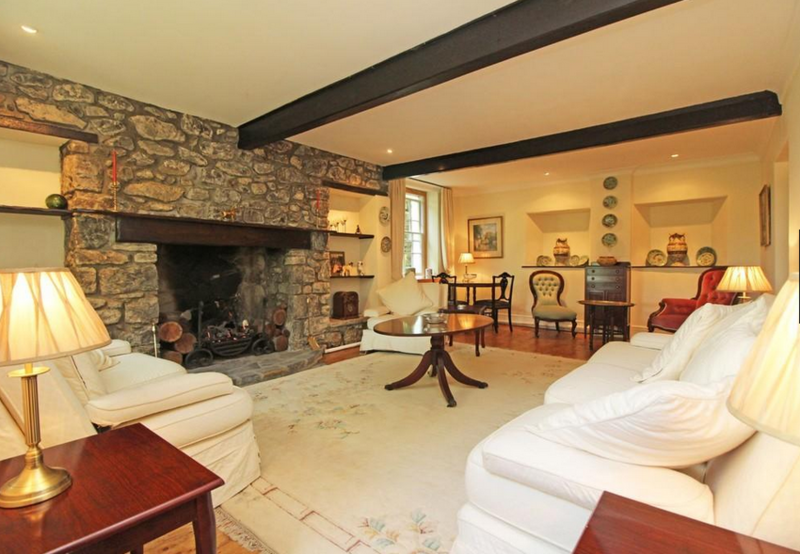 On the market for £650,000 with Moginie James. 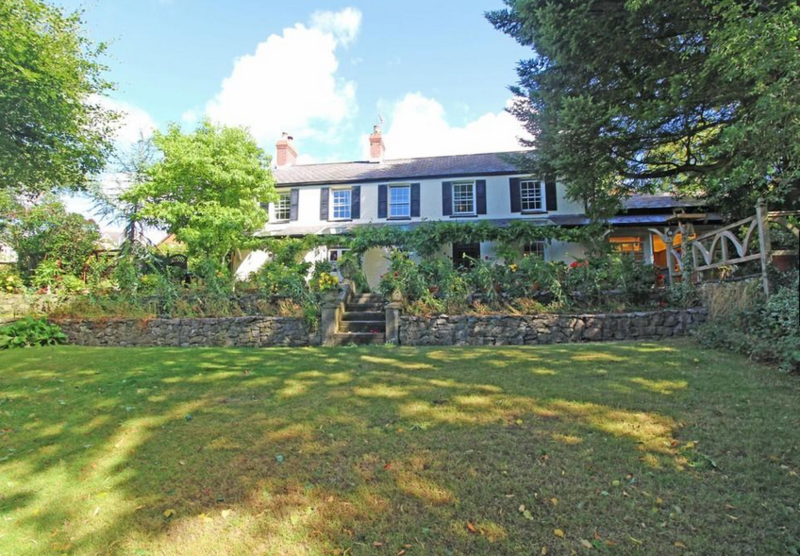 Located right in the heart of Pentyrch Village, this gorgeous detached cottage was built around 1810. The heritage home sits within award-winning private gardens that stretch about a third of an ace, and offers facilities for keeping livestock too. Entering through the grand entrance hall, you'll find a study, utility room and bathroom, as well as a charming orangery with French doors that open out onto a pretty courtyard. To the rear of the ground floor are the lounge, dining room and kitchen/breakfast space, boasting solid granite work surfaces and a Lacanche range cooker. Upstairs are five generous bedrooms, plus a family bathroom. The master suite, in particular, gets two thumbs up from us – we love the huge ensuite bathroom and dressing room, plus the characterful sash windows. 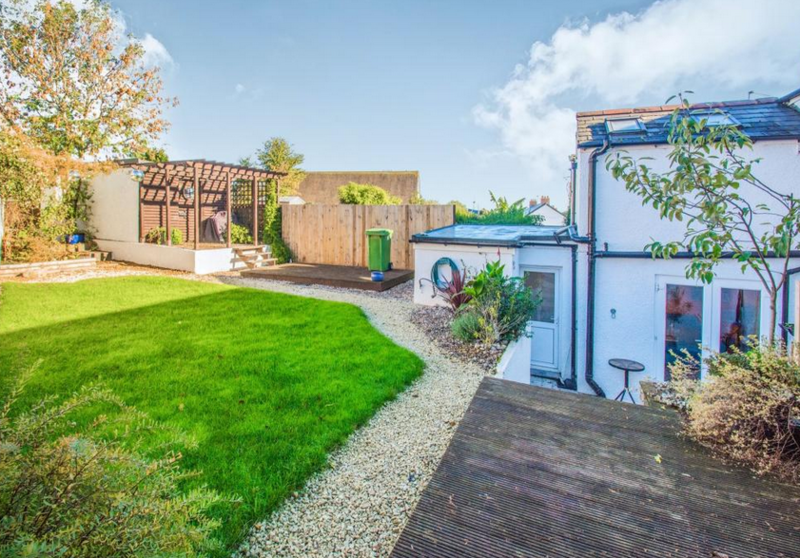 From the outside terrace, steps lead down to the lawn, which comes complete with an ornamental pond and bridge, plus a summerhouse and greenhouse. 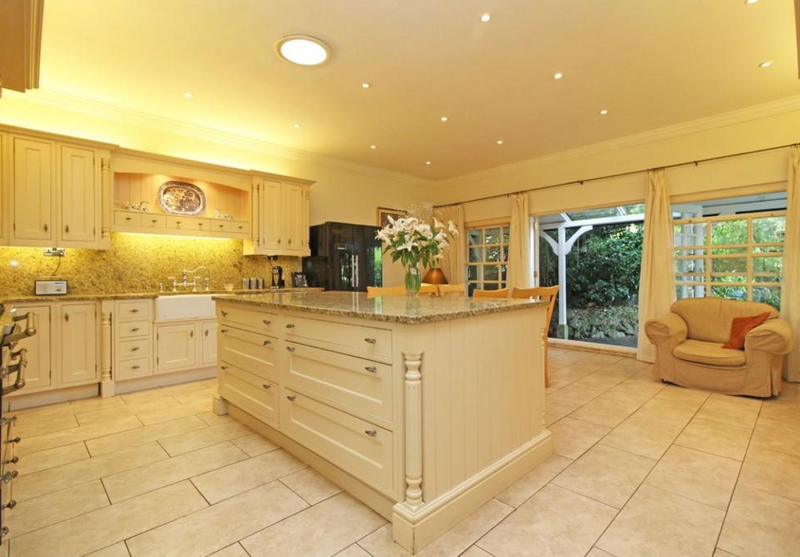 Elsewhere, you'll also find a tack room and two stables – ideal for those of an equestrian inclination. On Rightmove for £735,000 with MGY.